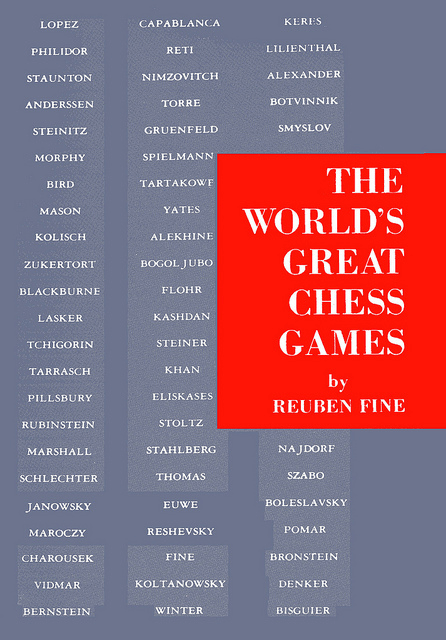 This book is the first detailed presentation, by a Grand Master, of a complete analysis of the world's best games. For all who are interested in the fine points, the author has selected the most notable examples of brilliant play and strategy, the attack and the defense. Among the masters whose best games are to be found in the work are: Alekhine, Botvinnik, Capablanca, Euwe, Lasker, Marshall. Morphy, Rubinstein, Steinitz. Tarrasch, Tartakower, and many, many others. Reuben Fine had not taken chess seriously until late high school days. Yet he became a Grand \faster at the age of twenty-one, and was dual winner of the great AVRO Tournament of 1938. Dr. Fine was officially ranked - on the basis of twenty years of tournament play - as the Number 1 player of the United States, and a Challenger for the World Championship. Dr. Fine taught psychology at the College of the City of New York and at Brooklyn College. He and his family lived in New York City, where he practiced psychoanalysis.